Another of our creative decals! 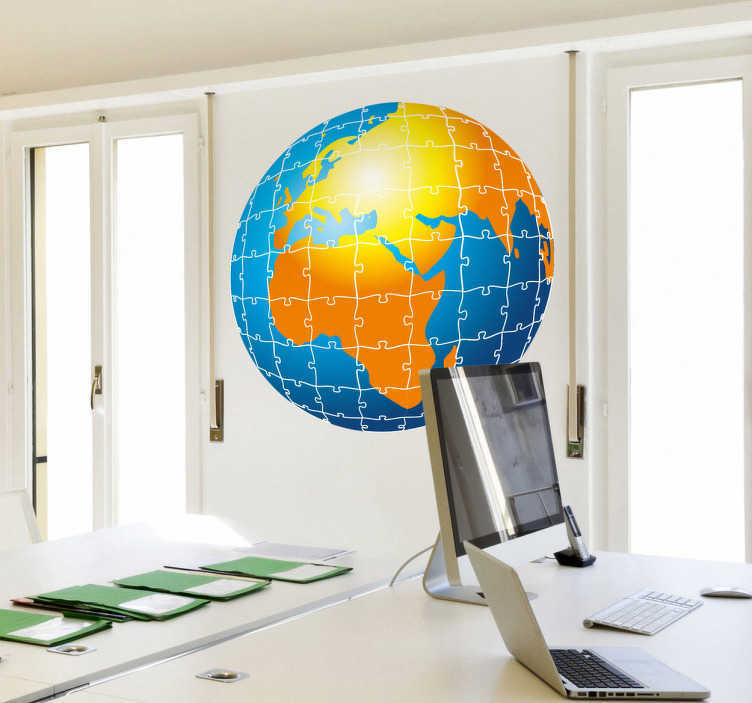 The world map with a puzzle effect to decorate any room and fool everyone at home or work. A fantastic puzzle effect that will have everyone wondering whether this sticker is a real puzzle. Surprise your family and friends with this elegant and stylish wall decal. Choose the size that best fit the surface of your choice. Easy to apply and remove made with anti-bubble vinyl and leaves no residue upon removal.